With all of the wondering about the future of our sport I am here to give you some clarity and hope towards the future, because frankly that’s what life is all about: taking control of today to shape a bright future. I want to do what is right for the sport and nothing less. Since the moment I started racing I already knew I wanted to give back to the sport. I wanted to share with people the experience that I had in the hopes that they would have the chance to find their passion like I did. I have since then raced nine seasons and organized the Vernon DH for eight years in a row. I love nothing more than to see people with smiles at my event and competitors working their hardest to be the best that they can be. The fact of the matter is that, like you, I have been trying to make the best educated decision possible on what is better for the sport, IGSA or IDF? You may have seen the post on the IGSA website already and I apologize for any confusion but the more information I gathered, the more people I spoke with, the more I started to realize the potential in the IDF working as a true democracy. That’s what really appealed to me. If I had any opportunity to be a part of this great change I would give it everything I have to help ensure the downhill community would be presented with high quality racing at its best! The IGSA was there to make us all who we are now. I would not be World Champion nor World Cup Champion without it. I respect everything it did for this sport and all the work that Marcus put into it. For any of you that might think that the IDF is pulling me away from the IGSA, this is a decision that seems right for the sport and me. I have decided now, on my own and with far more information than I had previous, on what I believe is the future of gravity racing. The IDF is not here out of spite but in hopes to provide more for everyone. The new Federation has its sights set on the future and moving forward. There is a time for change and it is now. 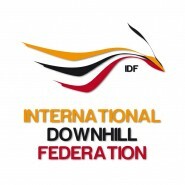 As of today I am proud to announce that I am the 7th and final member of the IDF (International Downhill Federation) board of members. I am sure there will be many more question to follow. Those answers will come in due time. For now, I cannot wait to start working with this amazing crew!